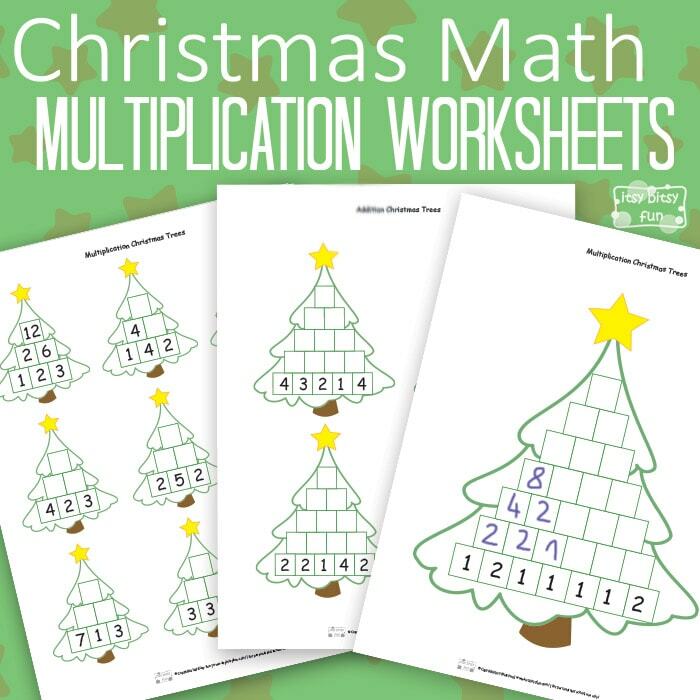 Math can indeed be fun and these Christmas Math Worksheets Multiplication Tree proves just that! I’ve made similar worksheets for addition so if you have a younger kid at home (or your little on is just crazy about math) check those out too. Let’s have some math fun! The goal of these is to reach the top of the Christmas tree and in order to do that kids have to look at two adjacent squares and multiply the numbers in those two squares – and write the answer down in a square above those two. They continue to do so until all the squares are filled (all problems solved). The equations are fairly simple – mos to them with one digit numbers and some with two digit. This printable set includes 4 pages with addition problems. 1 page with simple 3 rows. 2 pages with medium level equations – 5 rows. 1 page with hard level – 7 rows – the result is a 3 digit number so they are not too hard either. 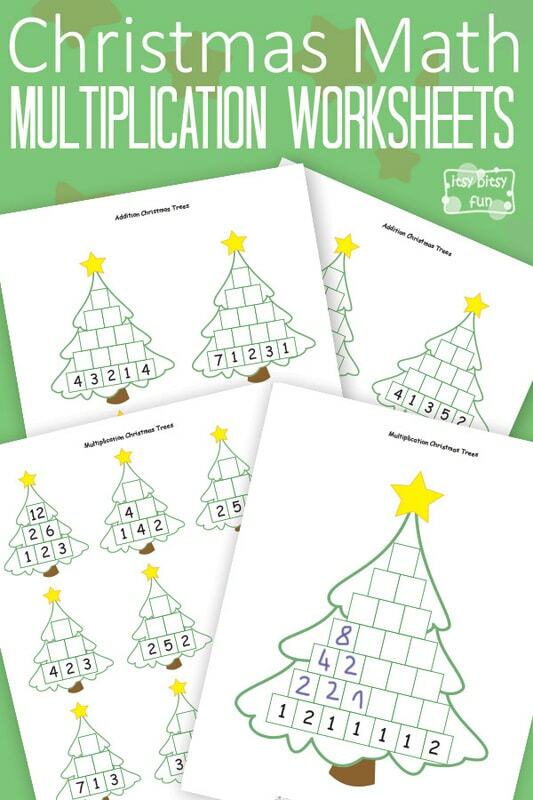 Get these free printable Christmas Math Worksheets Multiplication Tree here.